The problems of deafness are deeper and more complex, if not more important, than those of blindness. Deafness is a much worse misfortune. For it means the loss of the most vital stimulus--the sound of the voice that brings language, sets thoughts astir and keeps us in the intellectual company of man. 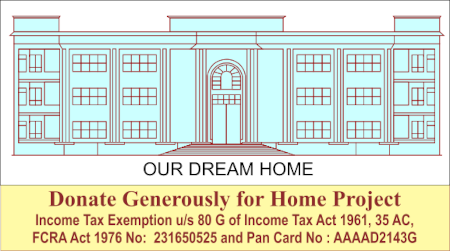 Income Tax exemption under Section 80G (5)(vi) of the Indian Income Tax Act, 1961. DIT(E) 2010-2011/D-233/1443 dated 20.9.2010 valid till it is rescinded. PAN No. AAAAD2143G. FCRA No. 231650525. You can also donate by transferring to the bank account. Click here for details. 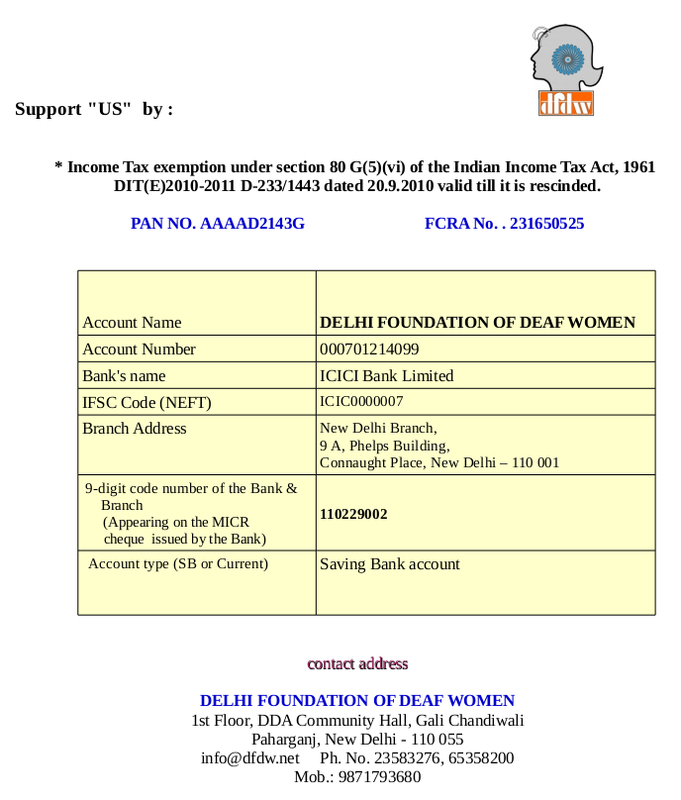 © Copyright 2002-2019, Delhi Foundation of Deaf Women. All Rights Reserved.